As the lake temperature plummets, it seems appropriate that I am adding this painting to the blog. 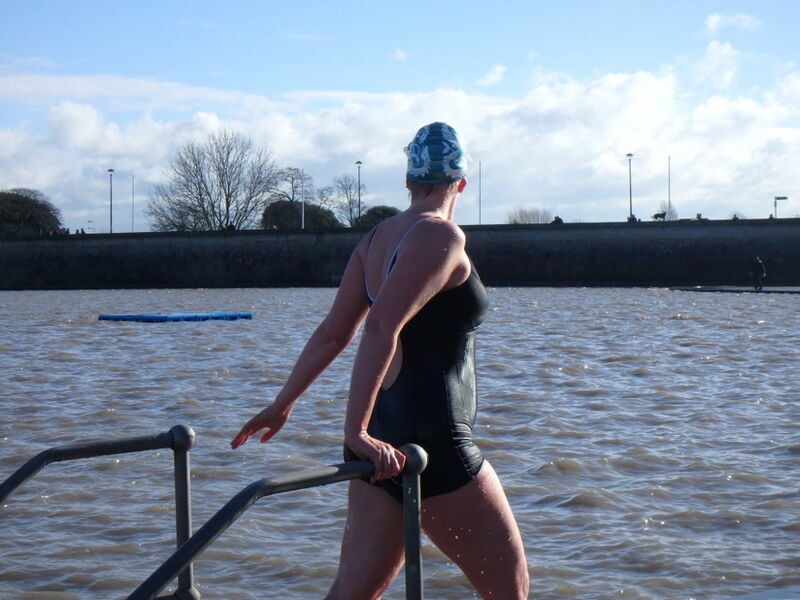 This is one I finished a couple of months ago, back when a brisk swim in 3 degrees was a distant thing, but this is Row Clarke getting out of Clevedon Marine Lake last January, and it was indeed that cold, but gloriously sunny. Everything that is not water is painted in watercolour (ironically) in a mix of pigments that looks like black but in fact is a transparent magenta, yellow and blue, which is more interesting for being not quite black and having subtle shades in it, and nicer to paint with. 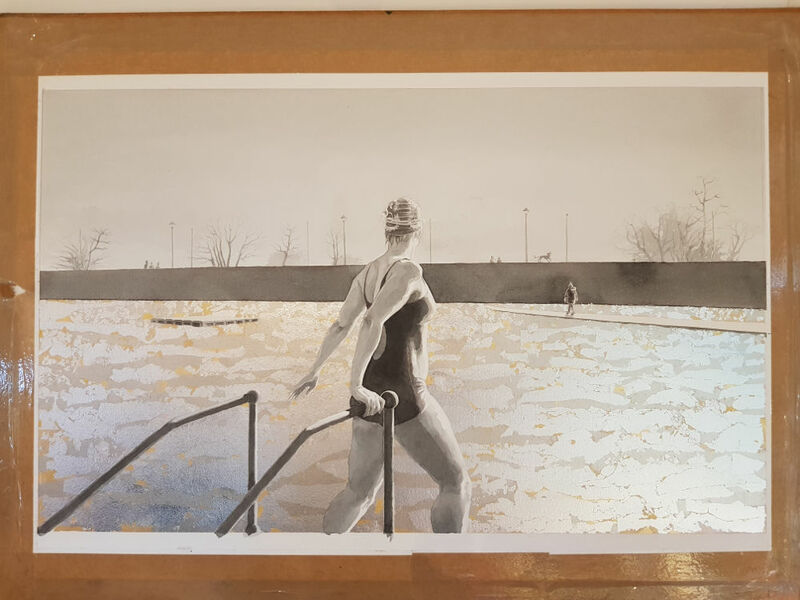 And all the water is done in a mix of aluminium, gold and palladium leaf. 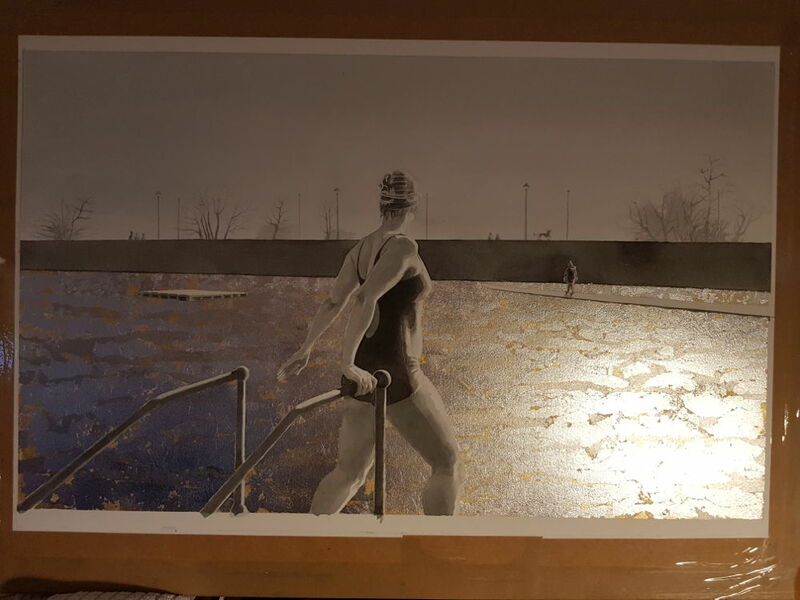 The first photo is taken with very flat lighting that shows the painting at its best overall, but a couple of images below this are snaps I took in different lighting, which show the effect of the metal leaf and the way the picture changes when half of it is metallic and half not. 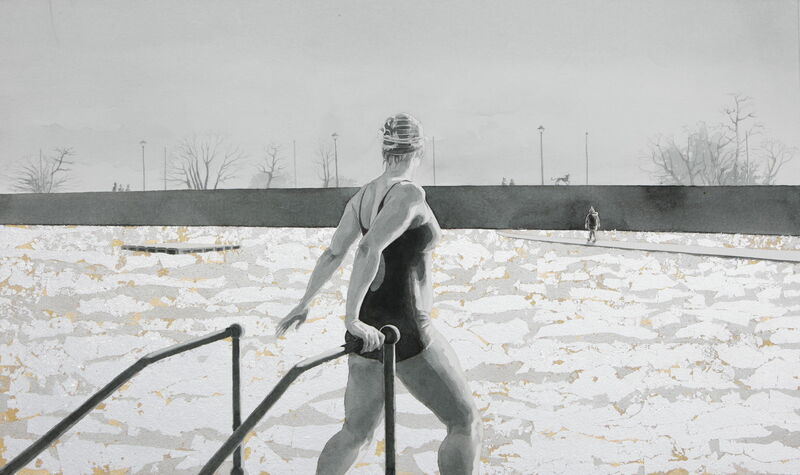 This entry was posted in Metal leaf, Paint, swimming and tagged aluminium leaf, art, Clevedon Marine Lake, gold leaf on paper, metal leaf on paper, painting, palladium leaf, winter swimming on November 22, 2018 by Nancy Farmer.